Huyan started learning violin at 6 years old. Now, at 13, Huyan is concert master of the Conackamack middle school orchestra, the Bravura youth orchestra string ensemble and the Piscataway AESOP symphonic orchestra. 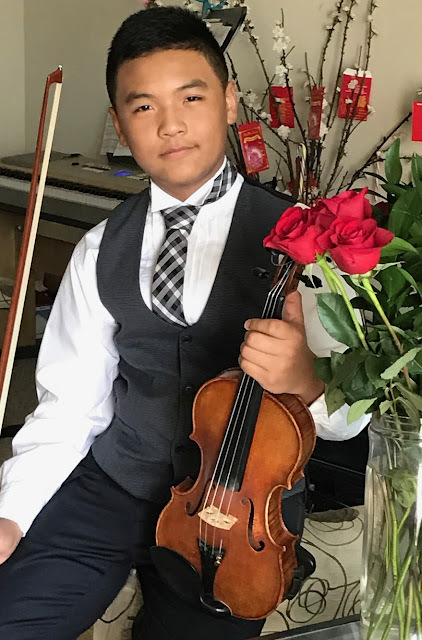 In January, He auditioned for CJMEA region ll chamber orchestrad and placed 3rd out of 139 in the first violin section, and landed the co-principal second chair of the New Jersey All state orchestra in March. Huyan has won a few competitions and performed at Carnegie hall several times. He is studying with Evelyn Estava.